Getting help with your book from a professional editor is always recommended but often just too expensive. 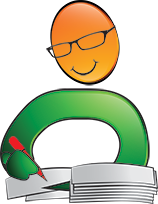 We have partnered with a professional editor with 30 years of experience to provide quality writing services at affordable prices. We have created hundreds of articles on topics all authors face in today’s literary landscape. Get help and advice on Writing, Marketing, Publishing, Social Networking, and more. Each article has a Comments section so you can read advice from other authors and leave your own. Are There Different Types of Literary Agents? How Do You Increase Your Chances Of Success When Querying Agents? Do I Need a Literary Agent? Literary Agents: Do We Really Need Them?